The success of business in development cooperation passes through sustainability: The Sustainable Development Goals (SDGs) as opportunities for the private sector. 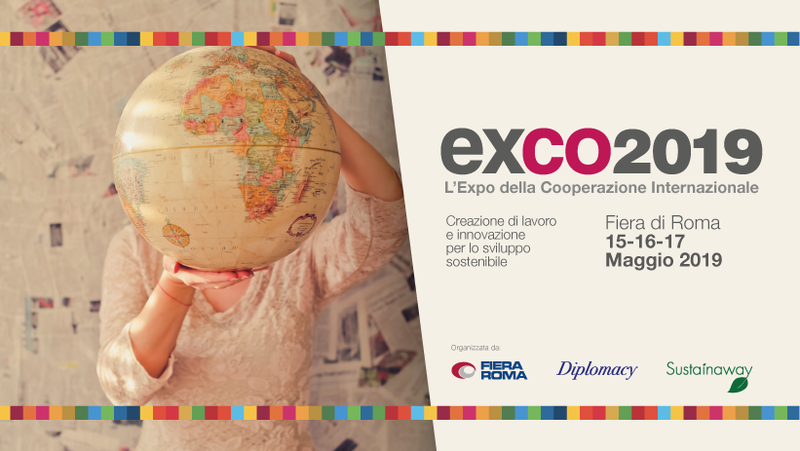 EXCO2019 is the first and only global expo dedicated to the innovative solutions provided by the actors of development cooperation: national and international agencies, governments, financial institutions, civil society and in particular, the private sector. During EXCO2019, the players active in the field and those willing to enter development cooperation, will have the possibility to meet financial Institutions, Government representatives, development agencies and international organizations, in order to engage in new business relationships aimed at creating partnerships to find solutions for sustainable development. The event has already received the support of General Direction for International Cooperation and Development of the European Commission, of General Direction for Cooperation and Development of the Ministry of Foreign Affairs and International Cooperation (Maeci), of Italian Agency for Development and Cooperation (Aics), Food and Agricultural Organization (Fao), International Fund for Agricultural Development (Ifad), World Food Programme (Wfp), as well as a great manifestation of interest from representation organizations of Italian NGOs, universities, and many important Italian companies.